At Oliver, we want to make sure your heating system reaches its maximum lifespan, which is why we encourage you to sign up for one of our maintenance plans. Like any other machine, your heater should be inspected regularly and with our professional heating service, we can help it run smoothly for as long as possible. One of the most stressful things that a homeowner can experience is a broken or malfunctioning heater when they need it most, and this can happen when you don’t regularly service your system. With our professional heating service, we give you peace of mind every time we inspect your heater. We’ll make sure each part is operating correctly, give your system a good cleaning, and fix any issues you may have to leave you feeling confident. At Oliver, we’re proud to offer reliable workmanship. 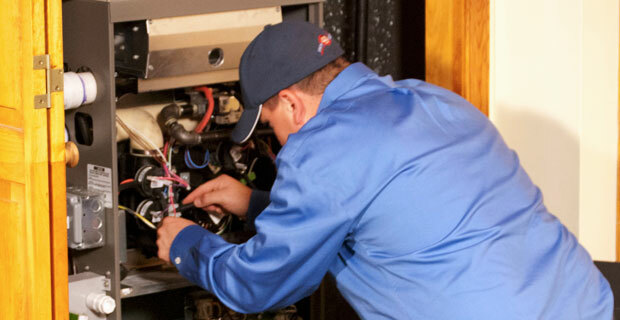 Each of our heating service professionals is factory-trained and NATE-trained to help you increase the performance of your heater and reduce the need for future repairs. Plus, with our two-year repair warranties on parts and labor and plan-member discounts, you can enjoy even more savings. We know a heating system is a big investment and we want you to be able to rely on it for as long as possible. Contact us today to learn more about how our heating service plans can help protect your system.